What’s a Raspberry Jam ? This page has now moved to it’s own site. Please click here to visit it. Raspberry Pi is a formidable, credit-card sized computer that plugs into your TV and a keyboard. It’s a capable little PC which can be used for many of the things that your desktop PC does, like spreadsheets, word-processing and games. It also plays high-definition video. It is intended that people all over the world will use it to learn programming. Raspberry Jam is a rapidly growing network of local user groups that meet every month to support hobbyists, developers, teachers, students, children and families – in fact anybody that would like to put their Raspberry Pi to good use. While Raspberry Jam is not endorsed, sponsored or associated with Raspberry Pi or Raspberry Pi products or services, some of our regular members are contributors to Frambosenbier, Raspberry Filling, and are writing support materials for the Raspberry Pi. At our meetings we have helpful people who can help you with everything you need to get what you want from your Raspberry Pi. You do not need to have a Raspberry Pi to come to a meeting. In fact, not having a Raspberry Pi is an excellent motive for coming along. You will discover what you can do with a Raspberry Pi when you do manage to get hold of one. Tell me more If you would like to know more you can watch this recording of a Google Hangout courtesy of Leon Cych, or listen to an audioboo by Alan O’Donohoe. Here is a blog post by Dan Hett describing the Manchester Raspberry Jam on June 9th. This is a video just showing the talks section of the London Raspberry Jam on June 20th and a blog post by The Scientific Moustache. This recording of a Hangout is a group of us discussing organising a RaspberryJam and how to see over the barriers. Locations – So far we have groups in Preston, Cambridge, Sheffield, Durham, London, Manchester, Brighton, Nottingham Bristol Machynlleth and Melbourne, Australia with many more on the way. Tickets for some of the events are available here. 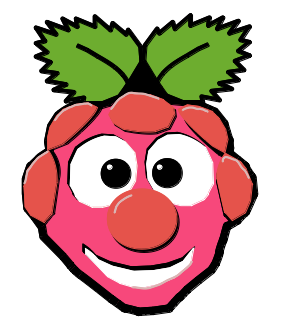 If there is no RaspberryJam running in your area, why not agree to host one. Our venues range from schools and offices to universities and branches of Starbucks. They cost nothing to setup but pay back huge rewards. If you would like to set up a Raspberry jam in your area send an email to us, other groups are setting up their own and amazing things are happening as a result. We have lots of things we can offer/do to help you get one started near you. As well as contacting us, please add a comment below with the area you are in and we will try to link you up with others. Update 13June – We have recently received requests from people in Amsterdam, Brighton,Basingstoke, Cardiff, Bristol, Machynlleth Mid Wales, Herts, East Midlands, Farnham, Coventry, Athens (Greece), Oregon (Portland), Brescia (Italy), Osnabruck (Germany) and Somerset for Raspberry Jams. Further details will soon be announced regarding these. If you are in any of these areas and want to know more send an email and/or comment below. You have a typo in your hashtag — you’ve missed the b out of raspberry! Thanks. I’ve sorted this now. Excellent writeup and info. As I live out in the sticks and trying to learn to use my Raspberry and linux is very time consuming so a Jam would be of interest. BUT if you don’t mind I would like to remind your readers of this very im[portant item abot ACTA !. With all this knowledge sharing I was wondering how you think that “ACTA” will afect this. ACTA is the Anti-Couterfeiting Trade Agreement signed in secret by the UK Gov and being voted on by your MEP on July 5th in Brussels !. This ACTA will allow wholesale privacy invasion and criminal law against IP and Copyright items as well as trying to stop generic medicines for third world countries. More info @ http://www.laquadrature.net or google it. Looking at your interests and the Open Source community, you should be emailing your MEP,s immediately to say “No to ACTA”. We have 6 MEP’s in the west country. Rgds Gordon another RaspberryPi enthusiast.